We are a leading UK refrigeration company covering the South West of England. 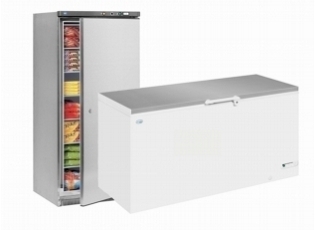 Not only do we supply refrigeration, we also offer the complete package including design, installation and maintenance. "The new system they put in is more environmentally friendly and keeps us below our power threshold. The work they have done is first class and they paid great attention to detail." ComRef also specialises in the development, construction and maintenance of cold stores throughout the South West of England. Our in house design team work closely with the clients from design through to installation and we ensure we are always offering cost effective, innovative solutions alongside the highest standard of customer service and installation. Our flexibility and full range of designs enables us to offer solutions in all sectors of the market. Whatever your environment, we can tailor make a package to suit your needs. Whether you require modular, bespoke or portable, we can provide you with the best solution. Chat to us now, or contact us for more information! 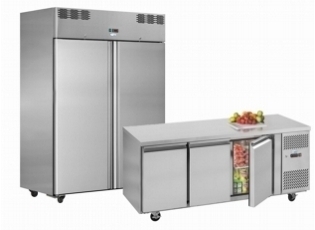 Storage Refrigeration Refrigerated storage solutions for all catering requirements from large busy commercial kitchens to small cafes and diners. Display Refrigeration From standard glass door chillers and freezers to a variety of back bar coolers, multidecks, counter top freezers, chest freezers and much more. Coldrooms Design, Installation and Maintenance of all cold room sizes. Whatever your environment, we can tailor make a package to suit your needs. Hire We offer refrigerated and freezer hire on a long or short term basis tailored to our customer’s needs. Offers Everybody loves special Offers. Find out more about what's on offer this month! Copyright © 2019 Ian Hobbs Technical Services Ltd.